On September 13th, we welcomed six new startups to the MetaProp accelerator family. The past month has been energizing, challenging and productive for them and us as we ramp-up the startups’ growth curve. MetaProp integrates its venture fund and advisory businesses with its accelerator companies. Over the summer we launched our Fund II and recently added a new Consortium of sponsors, making the MetaProp community more integrated and stronger than ever. At the beginning of the accelerator program our number one goal is to connect each startup in the cohort to our broader community. As our network of investors and sponsors has grown, so too have the opportunities for our companies. 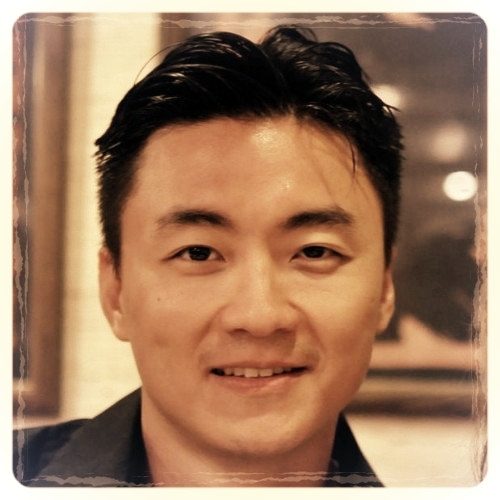 John Kang, CEO of Reasi, flies across the country every other Thursday to join us. He explained that so far, our community has been the greatest value he has gained from the program: “MetaProp opened up the East Coast PropTech ecosystem for us. We've lined up back-to-back meetings with partners we would have struggled getting in front of. Furthermore, the program has helped with branding and navigating broker and title relationships,” John explained. We are looking forward to watching this class grow and mature. In particular, we are looking forward to finding ways for all of you (our community) to engage with them. Take a look at the list of companies and some highlights from orientation, below. Aegis AI uses computer vision to identify weapons in surveillance camera footage, dramatically reducing law enforcement notification time and saving lives in an active shooter situation. 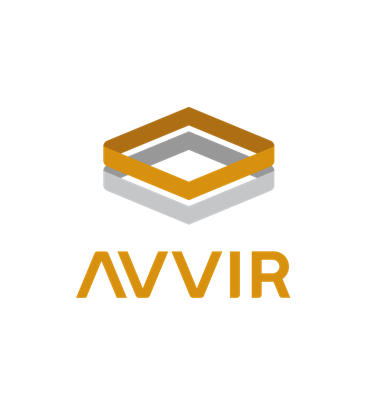 Avvir compares laser scans of constructions sites to BIMs in order to identify construction errors, monitor progress, and ultimately enable a dynamic living digital twin of a building that can be used as a platform for the management of smart buildings. Furnishr is a turn-key home furnishing platform that designs, sources, delivers and setups your home all in one day. Jabbrrbox (NYC) Jabbrrbox is a new workplace solutions company bringing privacy to commercial and public spaces. The Jabbrrbox solution fills a critical void in the public and private marketplace and is engineered for today's modern mobile workforce. 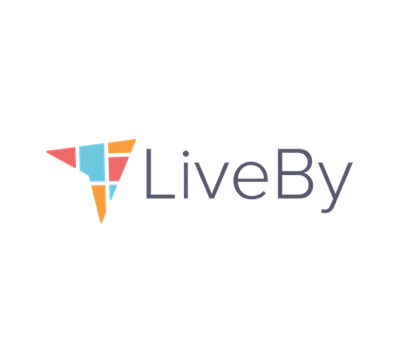 LiveBy is a hyperlocal data company focused on empowering brokers, teams and agents with the tools to showcase their local expertise. With plug-and-play local content for websites and new, sharable Neighborhood Guides and Market Reports, LiveBy helps real estate professionals prove why they know their markets best. Reasi is an online real estate escrow service that provides a secure and seamless home-closing experience. We eliminate escrow costs using our blockchain platform, support the transaction from offer to close, and bring simplicity & security to a $10 billion escrow market plagued by frustration and wire scams. Orientation week featured the brand new MetaProp Accelerator Consortium with Comcast machineQ, Cushman & Wakefield, First Republic Bank, Fox Rothschild and Inmobiliaria Colonial. Anyone scanning the PropTech headlines in recent weeks could be forgiven for doing a triple take as three mega funding rounds totaling over $1.7 billion--all led by Softbank’s $100 billion Vision Fund--were announced within a five-day span. For those keeping score at home, the rounds included $1 billion to Indian hotel booking platform Oyo Hotels, $450 million to residential brokerage company Compass and $400 million to ibuying leader Opendoor. It’s a jaw dropping amount of capital by any measure. The numbers are even more remarkable when you consider that in 2013, PropTech startups raised less than $500 million in total venture capital funding during the entire year. One of the notable aspects of these and other recent PropTech mega-rounds, aside from their sheer size, is how many of them are going to startups with so called “full-stack” models. Full-stack startups, a term popularized a few years ago to refer to Uber, AirBnB, WeWork, et. al., are tech-enabled companies that offer complete end-to-end services that generally compete with, rather than sell to, incumbents. Take Compass for example, which is striving to build a modern residential real estate brokerage enabled by technology, rather than sell tech tools to existing residential brokerages (though it has recently announced plans to get into that game too). The rise of full-stack PropTech startups is a feature, not a bug, of the current PropTech wave. Fueled by the near-record levels of dry powder in today’s venture capital ecosystem, these full-stack businesses--which tend to be as capital intensive as they are ambitious--are acting as a catalyst for innovation and behavior change in the real estate market more broadly. Some of the most highly valued companies in PropTech, and indeed in the broader tech economy, employ full-stack models. Companies like WeWork, Compass, Redfin, Katerra, OpenDoor, et. al. are not primarily selling software to the traditional giants of the real estate industry. Instead, they are taking them on directly. This direct challenge is a powerful force behind the real estate industry’s recent and rapid awakening to and embrace of technology. When a company like WeWork can grow from zero to become the largest occupier (and in turn, subletter) in Manhattan in less than 10 years, it makes traditional office landlords large and small sit up and take notice. Similarly, when Compass and Katerra use their massive venture-financed war chests to expand their reach by gobbling up major legacy players, it puts other incumbents in those industries on notice. It also makes traditional firms across real estate realize that in order to remain competitive in this shifting market, they too will need to embrace and adopt technology. So as full-stack challengers continue to gain scale, the appetite for tech that can be used by traditional real estate firms to make their businesses more competitive grows stronger. This is one of the factors helping to fuel the current explosion of PropTech startups seeking to sell into traditional real estate firms of all stripes. And it’s also one of the reasons that these startups are finding an increasingly warmer reception from their target customers in real estate -- a customer base which has traditionally been very difficult for tech companies to sell into. This growing customer demand is in turn why we are not just seeing an explosion in PropTech startup formation, but we are seeing many of these companies find real commercial footing and begin to scale at a clip that this industry has never before witnessed. As we look forward, we think that this push and pull between full-stack challengers and startups that aim to help traditional players modernize, is a powerful force for the continued growth and health of the PropTech sector. We expect to see venture dollars continue to consolidate around full-stack models that are able to achieve threshold levels of traction. And at the same time we anticipate that traditional software and tech-enabled businesses that sell into the commercial real estate community will continue to multiply and grow. It makes it an exciting time to be an investor in this space. It also signals that the pace of change in the real estate industry is only likely to accelerate. 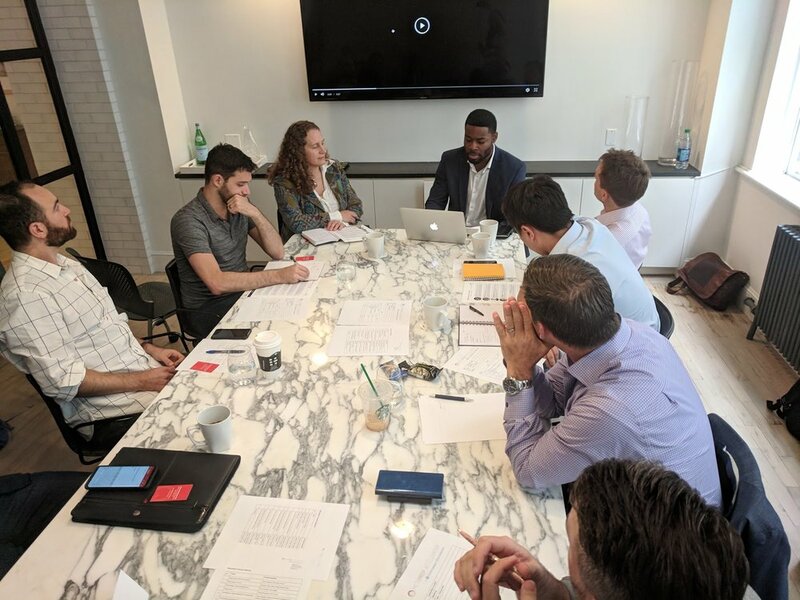 On December 8th, top Cushman & Wakefield technology and business executives participated in an exclusive, two hour “Pilot Day” with featuring presentations from the MetaProp NYC 2015 real estate tech accelerator class. 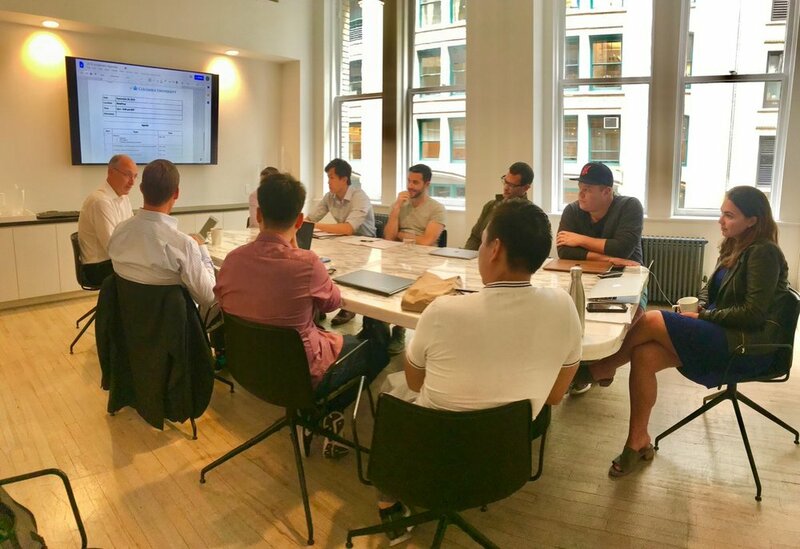 During the Cushman & Wakefield Pilot Day, SocialSign.In, Radiator Labs, Optii Solutions, Rentalutions and Notion demonstrated their technologies. In August 2015, the five startups were selected from a pool of more than 150 applicants by the MetaProp NYC investment committee made up of current technology investors and former executives at Blackstone, Sequoia Capital, Cushman & Wakefield, Boston Consulting Group and Google. MetaProp NYC Demo Days celebrate the culmination of the 22-week MetaProp NYC accelerator program and provide graduating startups with new corporate relationships (for pilots and investment), new angel/VC interest, and media awareness. Those in attendance (MetaProp NYC 2015 class, venture capital investors, program mentors, corporate partners, real estate industry executives, media, government officials, etc.) network with the industry’s top minds and are the first to hear about the latest technologies, new partnerships/funding announcements and early details about MetaProp NYC’s 2016 class.